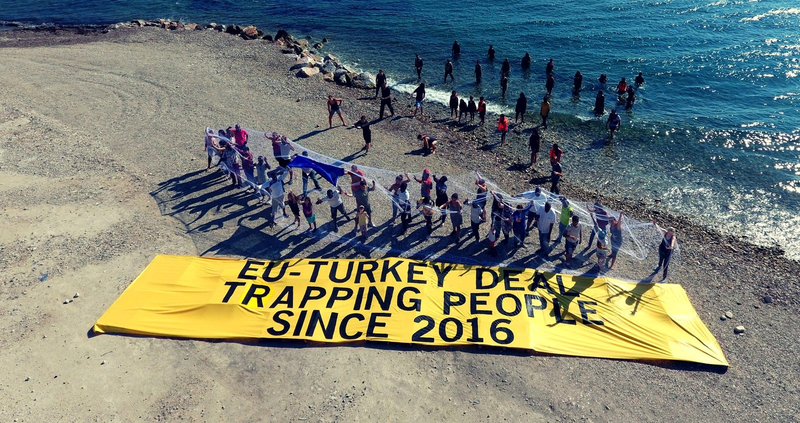 Three years on and the deal between the EU and Turkey, to cut refugee flows from Turkey to Greece through the Aegean Sea, has mostly met its objectives, yet the asylum seekers are still suffering, according to humanitarian aid groups that have been critical of the deal right from the start. On March 18, 2016, the EU concluded a deal with Turkey that aimed at preventing refugees in Turkey from using the Aegean route to Greece. The main motive for the agreement was to control the refugee flood, which has been successful so far. During the peak of the refugee crisis in 2016, more than 1.2 million people applied for asylum in the EU member states. The number of asylum seekers fell to 654,000 in 2017 and to 580,000 in 2018, according to Eurostat, the EU statistics office. Similarly, there has been a 96 percent decrease in the number of refugees who crossed the Aegean Sea, with 856,000 crossings in 2015 and 32,000 in 2018, according to the UN High Commission for Refugees. There are still refugees arriving on Greek islands via the Aegean Sea, but the numbers are far less. However, the key condition of the deal, which was “one in, one out”, has not been accomplished. The “one in, one out” system meant, for every Syrian refugee sent back to Turkey by the EU, one would be sent from Turkey to the EU. According to a report by the Associated Press on Thursday, rather than applying for asylum before leaving their country, asylum seekers only apply when they reach the Greek islands. This is what has been the cause for concern in humanitarian groups and why thousands of refugees have been restrained in camps on the Greek islands. Deportations to Turkey have, therefore, failed or been delayed, causing a huge backlog in the asylum system of Greece. Samos Island has been the worst case, holding about 4,000 refugees in a camp that has the capacity for only 648. Moria camp, the largest in the eastern Aegean, designed for 3,100 people on the island of Lesbos, has more than 4,800 asylum seekers. In response to strong criticism regarding the crowded camps having poor living conditions and a lack of security, the Greek authorities have referred to the terms of the agreement that prevents them from moving refugees off the islands in groups. They claim they have been sending so-called “vulnerable” to mainland Greece, in an attempt to solve the problem of overcrowded camps. However, as of Monday, the attempt at solving the problem has not been successful as there are still 14,742 refugees on the Greek islands.